Healthcare for pets is expensive. 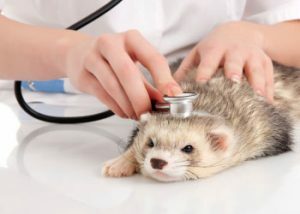 Healthcare for ferrets can be even more so, due to the fact that pet insurance for ferrets is almost non-existent. I have previously written about my discovery of Pet Assure. I was happy to find it offers– veterinary pet insurance for ferrets. Now, I have discovered another option for paying for vet bills–Care Credit for Pets. Many people have heard of Care Credit. In business for almost 30 years, Care Credit provides financing options for treatments and procedures that typically are not covered by health, dental, and vision insurance. Care Credit also can be used when insurance doesn’t cover the full amount and for deductibles and co-payments. Care Credit is a unique, specialized healthcare credit card with special financing offers. There are short-term and longer-term financing options.